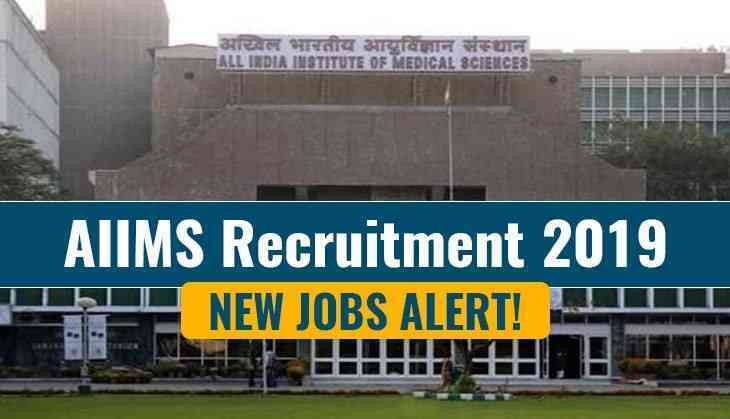 All India Institute of Medical Sciences (AIIMS) has released a job notification for the recruitment of Junior Research Fellow. Therefore, candidates who are willing in this recruitment drive will have to appear for the walk-in-interview. Interested candidates will have to appear for the interview that will be held in AIIMS New Delhi on 30th April 2019. AIIMS has released a vacancy for the post of Junior Research Fellow (JRF) on its official website. Therefore, candidates who want to get the job in AIIMS New Delhi will have to appear for the walk-in-interview that will be held on 30th April 2019. Applicants who are applying for the post must have M Sc/M Tech in Life Science/Biotechnology/Physical science/ Chemical Science/Nanotechnology with 60% of marks or equivalent to grade. Candidates who are having a certificate of CSIR/ICMR/UGC/NET or other equivalent certificates can apply for the position. Shortlisted candidate will be call for Interview through email. For walk-in-interview, candidates should take their documents on April 30, 2019 at AIIMS, New Delhi. Note: To know more details about the vacancies, candidates should check the official website of AIIMS New Delhi.